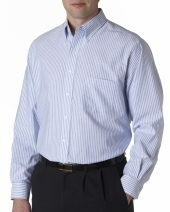 Van Heusen is a classic brand, which is known for its trendy styles and chic designs. Van Heusen is always eager to provide you that clothing styles, which can compete the fashion world by its innovative designs and luxury styles. Whether it is dress shirt or trendy pants, big size women apparel or tall size men outfit each piece of clothing has its own style and beauty. Van Heusen always tries to cater the fashion needs of those who always in search of comfortable but classic outfits. The fabric of Van Heusen is always a master piece to ensure the quality of product and to provide maximum comfort. Pearlized buttons and soft button-down collar. 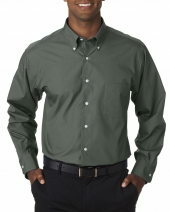 Wrinkle-resistant and stain repellent with generous fit. 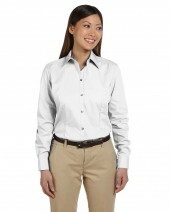 Box pleat on back and reinforced left-che..
Wrinkle-resistant and stain-repellent. Soft button down collar. Reinforced left-chest pocket. Box pleat on back. Replacement buttons. Generous fi..
Wrinkle resistant and stain repellent. Soft button-down collar. Reinforced left-chest pocket. Box pleat on back. Replacement buttons. Generous fi..
Wrinkle-resistant. French sewn back. Single-needle stitched armholes. Fitted silhouette. Double-needle felled sideseams. 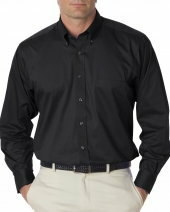 Two-button adjustable cu..
Wrinkle-resistant with relaxed fit and long-sleeves. 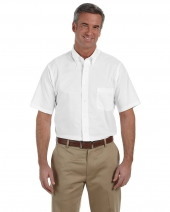 Classic button-down collar with pearlized buttons. Single-needle stitched armholes. Double-n..
Wrinkle-resistant. French sewn back. Single-needle stitched armholes. Double-needle felled sideseams. Two-button adjustable cuffs. 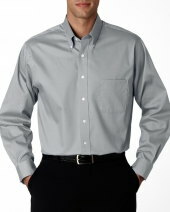 Reinforced lef..
Wrinkle resistant and stain-repellent. Soft button-down collar. Reinforced left-chest pocket. Box pleat on back. Replacement buttons. Generous fi..